These Sauces and Spices are hand-crafted in small batches from old family recipes. 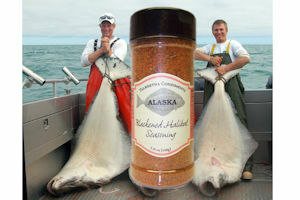 Blackened fish became the craze in the 1980's and this rub was developed especially for Alaskan Halibut. 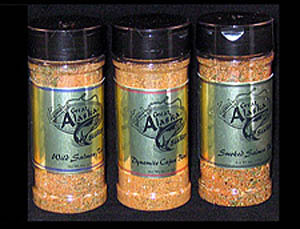 5.25 oz shaker jar, $9.95. Shipped USPS. 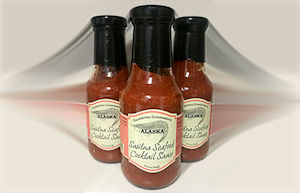 Made right here in Alaska from Alaska Tim's old family recipes. 6 oz. shaker jars. Shipped USPS. Available in three flavors. See them all. 14 oz. shaker jar, $14.95 Shipped USPS. A delicious and tangy condiment for shrimp, crab, scallops, calamari, or as a zesty dip for most any other seafood appetizer or entree. 11 oz. bottle, $10.95. Shipped USPS. 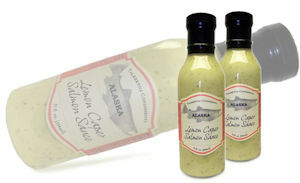 This Piccata sauce is everything you need in a bottle and is great with salmon. Of course, this sauce is good with almost any light or hearty fish! Great for baking or sautéing, the capers and lemon oil make this sauce an easy entrèe. 12 fl. oz. bottle, $12.95 Shipped USPS. Your guests will love it! 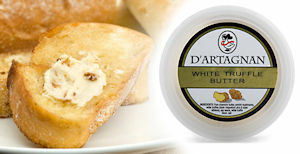 Made with premium butter, porcini mushrooms and white truffle oil (olive oil and truffle aroma). 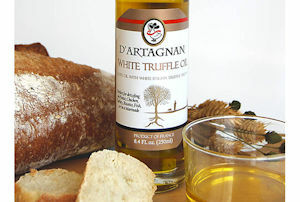 D'Artagnan's white truffle oil is made with pure, first-pressed French olive oil and Italian white truffle essence for an intense aroma with notes of garlic. 8 ounce bottle, $31.95. Shipped USPS.